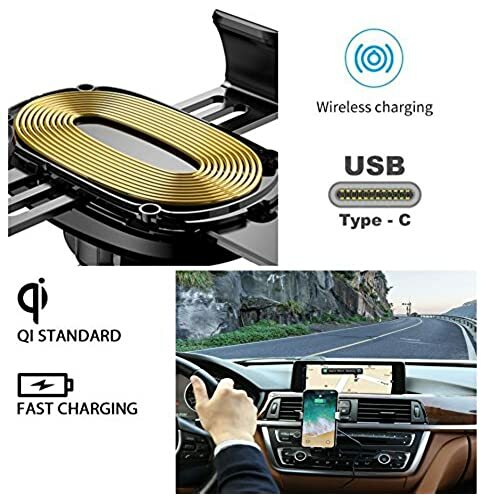 This 2-in-1 design Wireless Car Charger combined with wireless charger and phone holder in one piece. 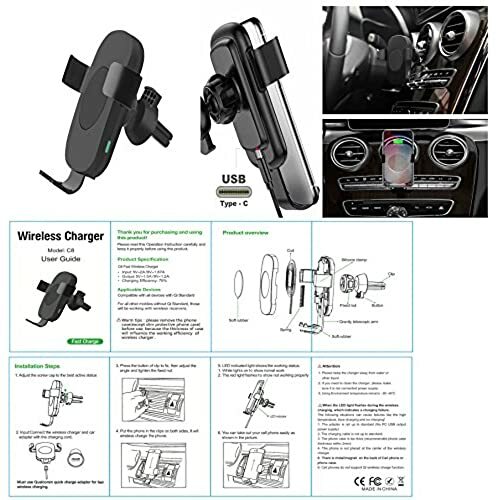 Wireless charge while driving, no longer having to fix-up tangled cords & cables. Fast Charge Mode enables wireless charging up to 2x Faster (requires to use QC 3.0 charging adapter NOT INCLUDED). 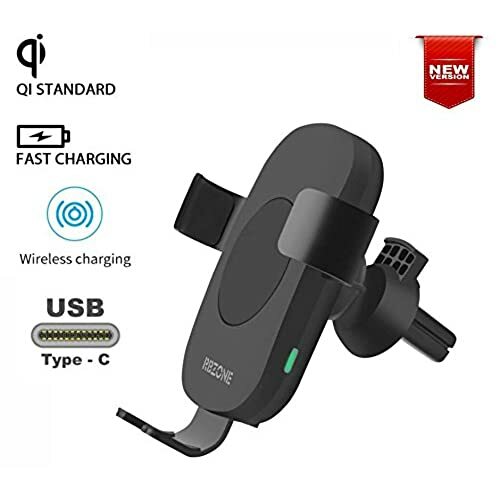 It is compatible with any Qi-enabled devices (some devices may require additional wireless charge receiver NOT included). 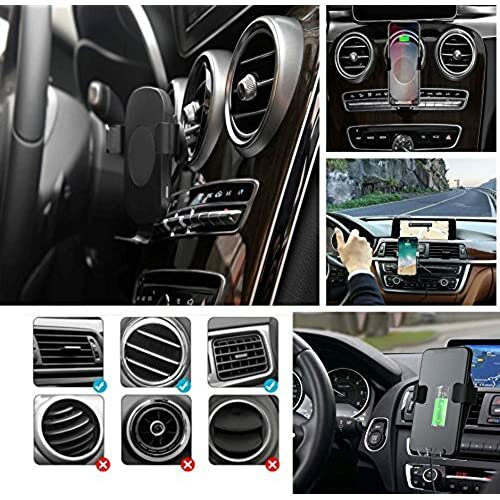 One-hand Operation; air vent installation, gravity and linkage design. 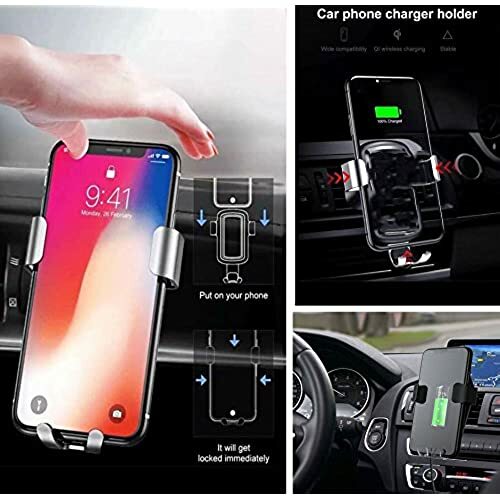 Slip your phone in and the left and right brackets will automatically grip your phone; to remove from mount, simply remove from upwards. 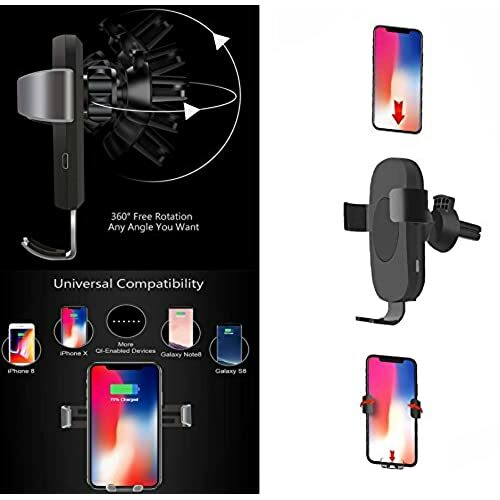 Simple, and Convenient! 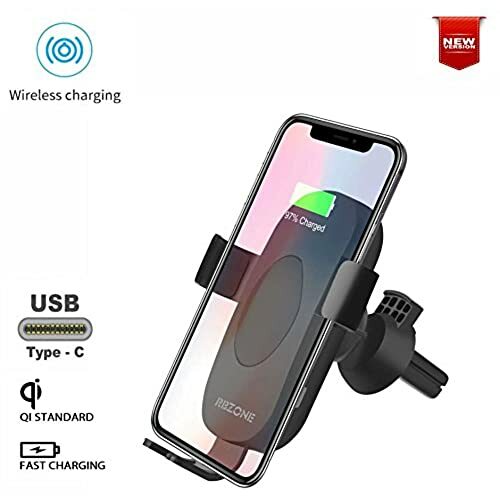 For the best wireless charging experience, please REMOVE your phone case (â‰¥2mm), as it may influence the charging speed or even result in charging intermittently or discontinued. Adjustable Ball joint pivot for optimal positions for the driver. (NOTE: Portrait/Vertical mode ONLY, as the cell phone is likely to slip out when turning to landscape mode/horizontally). 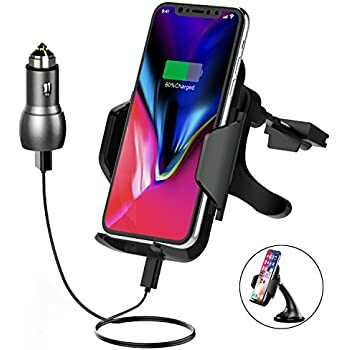 Package includes Car Wireless Charger Holder, Air Vent Clip, Type-C USB Charger Cable and User Manual.